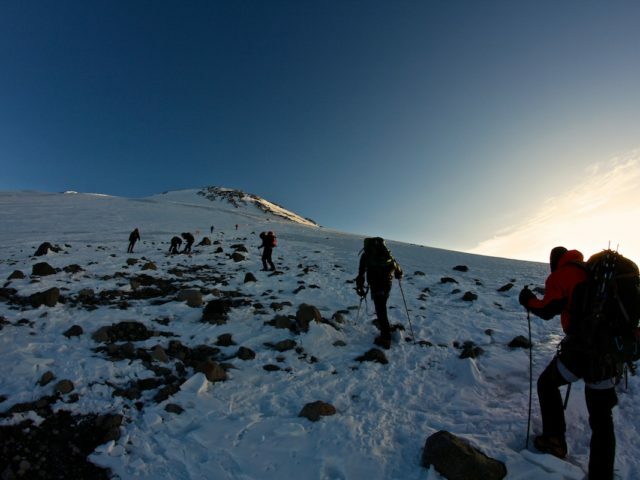 Our longest 9-day schedule for Elbrus climb from the south greatly repeats the 7-day schedule of Elbrus climb from the south, being designed for those who climb mountains for sheer pleasure and not for overcoming oneself and challenges. 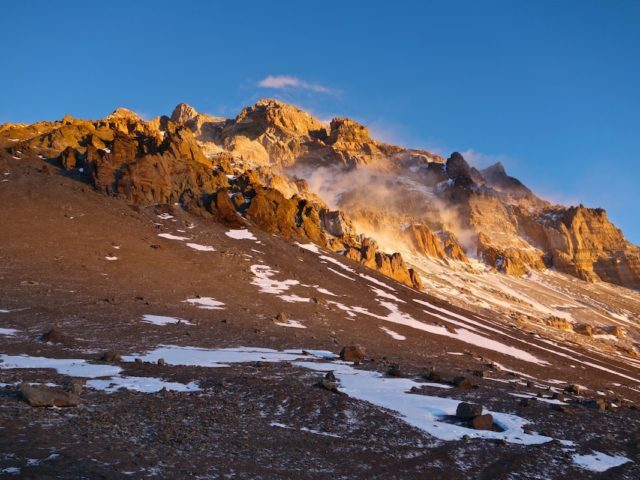 This schedule offers longer acclimatization on the valley and on the mountain (one extra day for each). 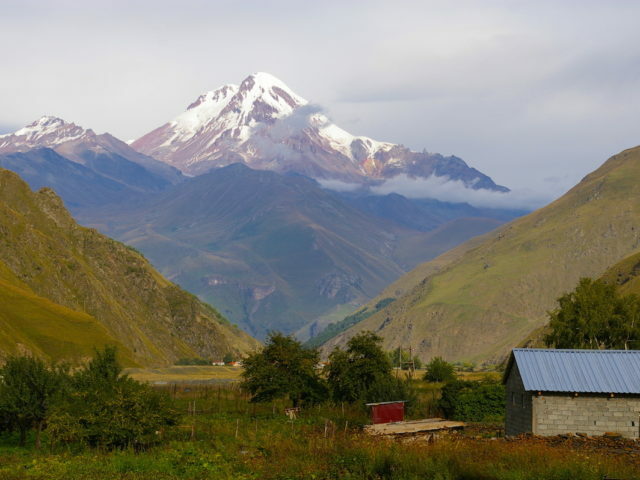 You will summit the mountain on the seventh day of the schedule which guarantees a pretty good and unhasty acclimatization, making your chances of successful Elbrus summiting even stronger. 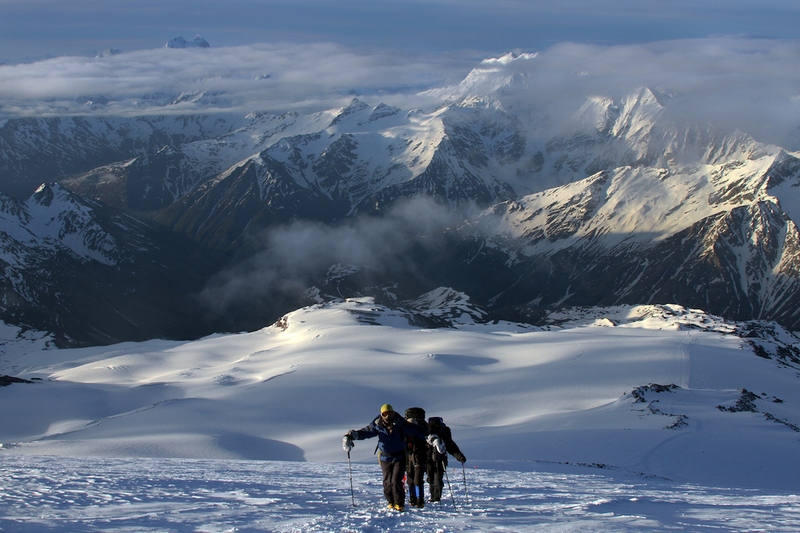 This schedule of a Mount Elbrus climb is the least challenging and a most rewarding for your body. It is a perfect option for those who are more after enjoying the nature and landscape than challenging oneself. This is arguably the most moderate schedule for climbing Elbrus. The comfort of hotel and refuge will make your trip twice as agreeable. And the three reserve days will make your success almost inevitable. 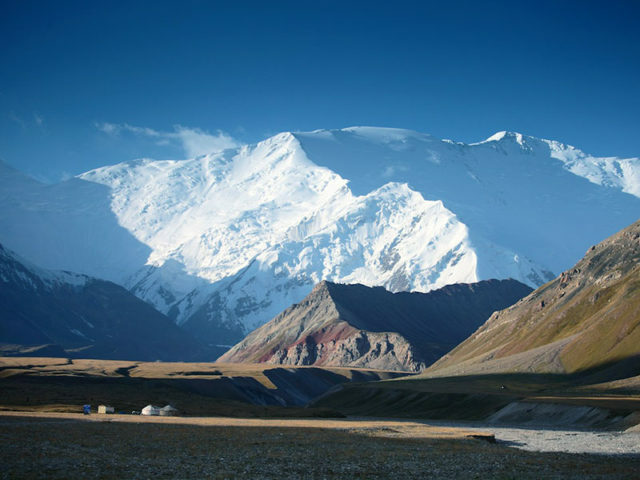 9-day Schedule for an Elbrus Climb from the South. Day 2. Acclimatization hike to Maid’s Braids waterfall (at 2700m) and further on, to the observatory (at 3100m). Day 3. Taking a lift to Mir station (at 3500m) and making an acclimatization hike to an elevation of 4200m. Descent to the hotel. Day 7. Summiting Mt. Elbrus (5642m), with an early start (at 2–4 AM) and possible use of a Snowcat. The proportion of guides and clients is strictly 1:3. Day 8. Reserve day. Descent to the hotel. Day 9. Transfer to the airport at 7 AM (plan your flight with this in mind!). Probably there will be some time for a walk in Pyatigorsk after you reach the airport and leave your luggage there. On your own, you can visit also the well-known Russian poet Lermontov’s duel site.